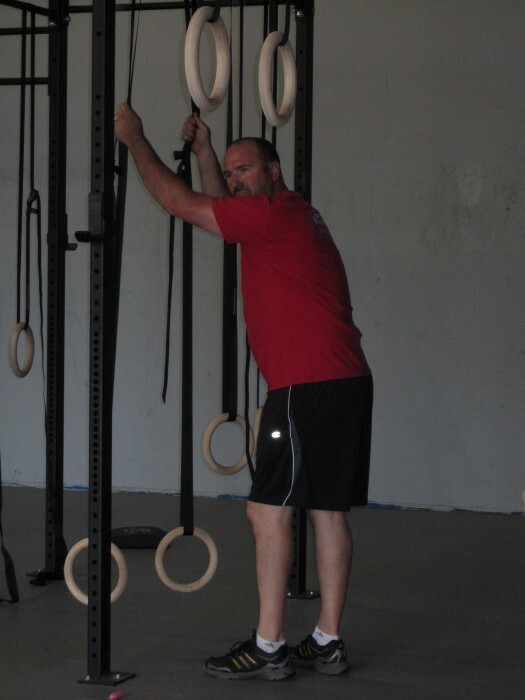 This is Rich hanging on the ring staps as he says "these push ups are the easiest part!" And I can see why! Well lucky Rich! The ring push-ups were definitely the hardest for me. Thanks Elijah for another great workout! 6 rounds with 63#. my muscles still feel hot!